If you’re looking to rock out tonight for Friday the 13th, then we have the show for you, friends! A trio of local bands we are very, very familiar with will be blowing the roof off The Cobra (formerly fooBAR) tonight, and for just $5 at the door, you’d be hard pressed to find more rock for less. Headlining this gem are psychedelic jammers Liz Cooper & The Stampede, with western flavored psych/indie outfit Lasso Spells, and grunge alt rockers Sad Baxter. Fans of the site should know these bands wail, becuase we’ve written about them many times before, but if for some reason you’re not up to speed in the local indie scene, please read on after the jump for more info. See you there! Laced with a wonderful wanderlust, Liz Cooper and her backing band The Stampede are a group we’ve dug for a while now (read this post). Folk leaning psychedelic rock at its best, they are known for their jammy live shows, with ‘60s/‘70s throwback vibes, and it’s no wonder they list The Grateful Dead as an influence on their Facebook Page. Liz personifies this freewheeling spirit, leaving behind family, friends and a collegiate golf scholarship to pursue music in Nashville. About four years later, she’s got two kickass EPs, Monsters, and the shred-tastic Live At The Silent Planet, plus a growing local following. Get a great taste of what’s in store tonight with the live music video we helped them debut for the track “Thieves,” embedded below. We hope you come jam at The Cobra, and watch Ms. Cooper and her peeps close down the night of awesome live music. 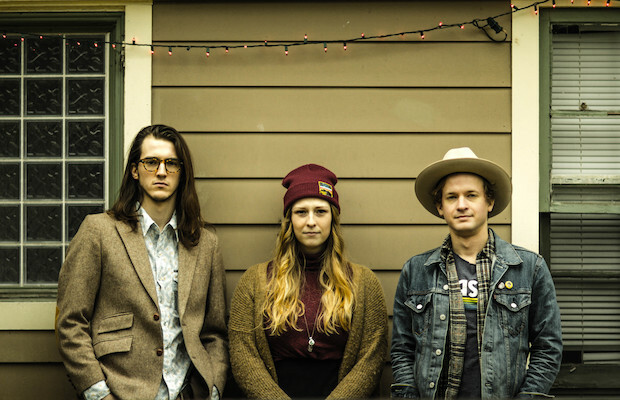 The brainchild of former Ranch Ghost member Brett Dudash, Lasso Spells boast an impressive groove-laden, psychedelic, western-tinged, moody, and vibey retro rock sound, expanded to include a full band lineup last year, including Danielle Shoda as a second lead vocalist. We’ve crossed paths with Brett on many occasions, including a few weeks before his first ever High Noon event over the summer, so we know that not only is his music quality, his character is too. The best news of all is the wait for the band’s debut album, Stuck in a Shape, is over, because it dropped just last month! We got an early listen, so it’s been one we couldn’t wait for the music loving public to get ahold of, and we assure you it is definitely worth heavy rotation in your various playlist. Local new wave garage/grunge rockers Sad Baxter have been crushing it as of late. Their debut LP, Weirdy, dropped over the summer via resident indie label Cold Lunch Recordings, and after a slew of dates up the east coast, they are back in town, but they’ve left their feet on the gas pedal. Playing all over the city the last several weeks, including crushing it at our No Country Christmas show/party, Sad Baxter seem ready and willing to rock out anytime, including rounding out this awesome Friday the 13th bill. So if you’re not familiar, get to The Cobra on time and get caught up, because these guys are easily one of the hottest bands around. Liz Cooper & The Stampede, Lasso Spells, and Sad Baxter will perform tonight, Jan. 13 at The Cobra. The show is 21+, begins at 9:30 p.m. (doors at 8 p.m.), and tickets are available for just $5 at the door.